Makenzie is doing well. She has been sleeping well and her refux seems to be under control I took her in to the doctor to check the strep again and it was still negitive. I am over concerened because in the past it has taken up to 4 months to fully get rid of it because of all of the germ sharing that the kids do with one another! At this appoint ment we got on the scale and she weighed in at 24 lbs! Yeah Makenzie! Over the last few days I have started doing a bit of oral feeding and she has responded very well! She opens her mouth for the food and is swallowinf quickly! She even smiles! I can’t wait for her to eat all of her food through her mouth! She is also doing well with her rolling. Her head control continues to get better and she seems to be sitting for a few seconds by herself more consistantly! God is so good! I have learned again this weeked that you can not control other people actions even if they affect you adversley. What you can control is how you handle the situation and continue to know that at the end of the day Praising God and liviing each day for his glory is really all that matters! I have also seen how broken this world is and how moraly corupt we have become! I am sure that this is why God calls us to live in the world and not of the world! Love and serve your families! Stick by your loved ones even when the going gets tough! Fight for what is truley important in life because in one split second it could all be taken away! Remember the way that God calls us to live! Hold your self and the people in your life accountable to this! Love Jesus! With him you will never have to walk through the storms of life alone! 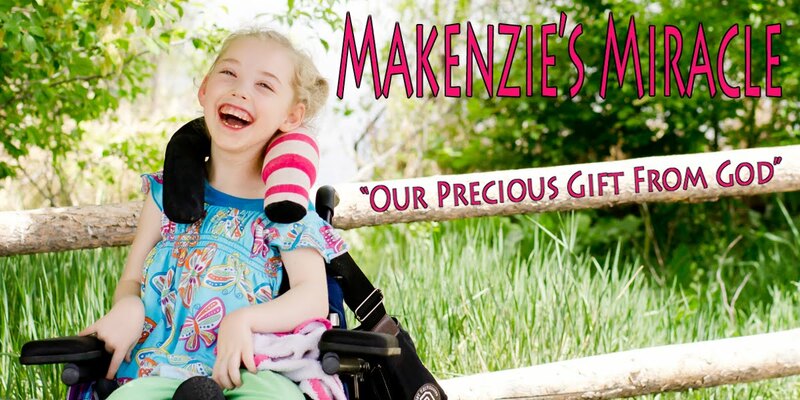 Please continue to pray for Makenzie’s restoration and please also pray for healing from the brokeness of our brothers and sisters in Christ! The LORD is close to the brokenhearted and saves those who are crushed in spirit." "Those who sow in tears will reap with songs of joy. " "How precious to me are your thoughts, O God! How vast is the sum of them!" " He lifted me out of the pit of despair, out from the bog and the mire, and set my feet on a hard, firm path, and steadied me as I walked along." "for he has not despised my cries of deep despair; he has not turned and walked away. When I cried to him, he heard and came."